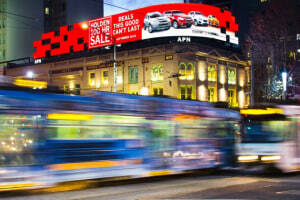 The transition to digital billboards continues to power growth at APN Outdoor. The outdoor company grew half-yearly revenues by 8% to $162.3 million. 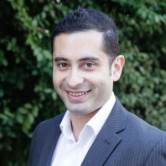 This was less than rival Ooh!Media's 18% revenue growth to $173 million, which his further ahead in its transition to digital formats. APN Outdoor grew its digital billboard revenue by 27% to $60.1 million compared to the first six months of 2016. This includes adding 16 large format 'elite screens' with a further 24 to go live in the rest of this year. The company's classic billboard revenue had a marginal decline, down 1% to $102.2 million. Highlights of the half-yearly period include the renewal of three large contracts: the Tullamarine Freeway, the Sydney State Transit contract for Sydney Buses and the Adelaide Metro contract. Most of the company's growth is in roadside billboards, which increased half-yearly revenue by 20% to $84.6 million. Advertising revenue on transit, which includes buses and trams, dropped by 2% to $47.1 million, but this was a positive result as it doesn't have the same opportunity to convert to digital formats. APN Outdoor's airport revenue was roughly the same as H1 2016, at $19 million. Meanwhile, rail was down 10% to $11.6 million. APN Outdoor's EBITDA improved 7% to $37.2 million, offset by $3.4 million in cost of a failed merger with Ooh!Media as well as additional staff costs. “Digital screen revenues continue to represent over one-third of Group revenues, and will continue to grow in line with demand and the Company’s focused growth strategy,” APN Outdoor CEO Richard Herring said.